The finale of “American Idol” saw its best rating in three years, with nearly a total of 13 million viewers tuned in to bid the singing competition show—which has churned out stars like Carrie Underwood, Kelly Clarkson, Jennifer Hudson, and Chris Daughtry—farewell. 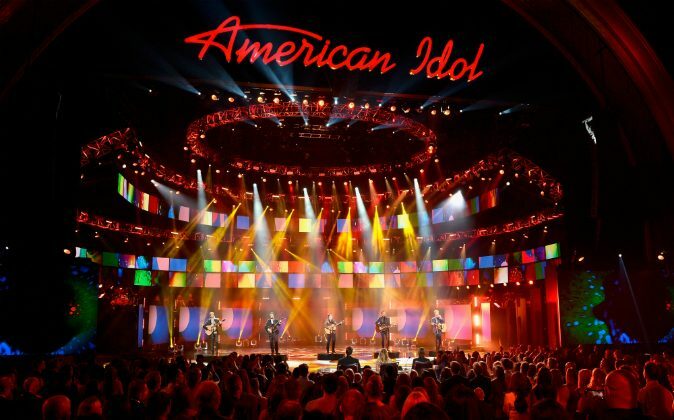 Viewers were treated to a performance by Idol’s first winner, Kelly Clarkson; an appearance (pre-recorded video) from President Obama; William Hung’s re-audition of “She Bangs”; a surprise appearance from Simon Cowell, who has admitted he hasn’t watched an episode of Season 15; a duet between Keith Urban and Carrie Underwood; a David Bowie tribute; and the announcement of the winner, Trent Harmon. The 46-year-old star performed the woman-empowerment pop song in a revealing Nicolas Jebran bodysuit, singing she “ain’t cooking all day/ain’t gon’ do your laundry/I ain’t your mama, boy” for the first time. The song is written by Meghan Trainor. The Dr. Luke-produced song itself has received backlash from fans. The energetic performance garnered praise, but the Dr. Luke-produced song itself has received backlash from fans. Fans are upset Lopez would work with currently controversial Dr. Luke, who has been accused by singer Kesha of sexual and emotional abuse. A New York Judge rejected Kesha’s claims on April 7, citing lack of evidence and expired statute of limitations. Despite this, fans expressed their displeasure with the Latina star via Twitter. Of course Meghan Trainor wrote a “feminist anthem” for Jennifer Lopez that was produced by Dr Luke. Perfect storm of steaming trash. Jennifer Lopez has yet to comment.